We are a diverse team that has worked in most regions of the world – North America, Europe, Asia, Africa and the Middle East – a team that derives our job satisfaction from making a difference. 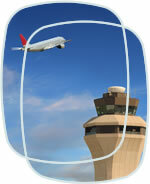 We have worked for low cost carriers as well as full service airlines. We have developed strategies and plans for airlines, started new airlines, restructured distressed businesses and focused on improving the performance of key Commercial functions. We bring informed debate to the table as we draw on our extensive experience as airline senior management to recommend effective solutions.